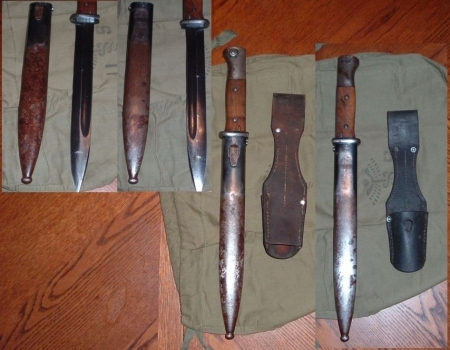 A couple of German WWII Bayonets. 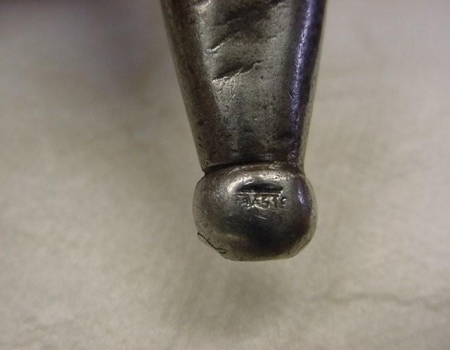 More text is coming soon. 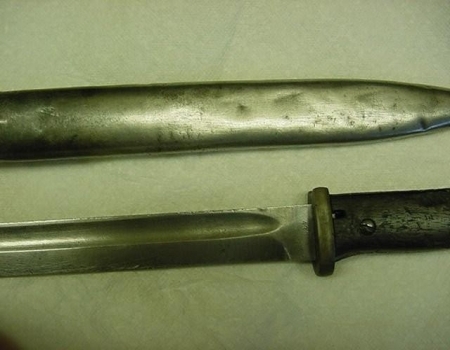 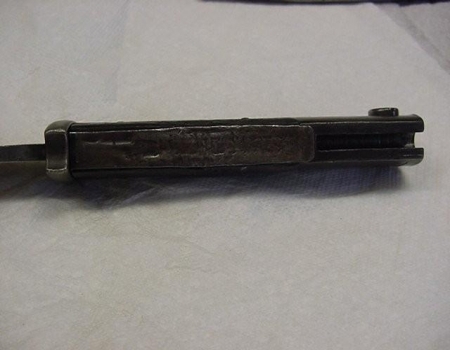 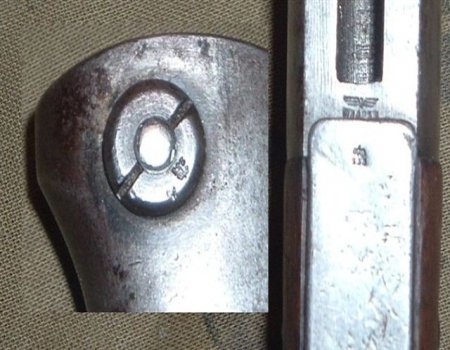 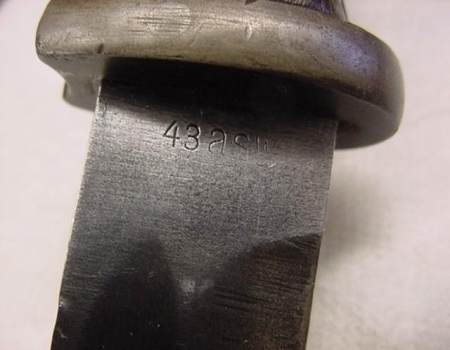 Front and back pictures of a German WWII bayonet. 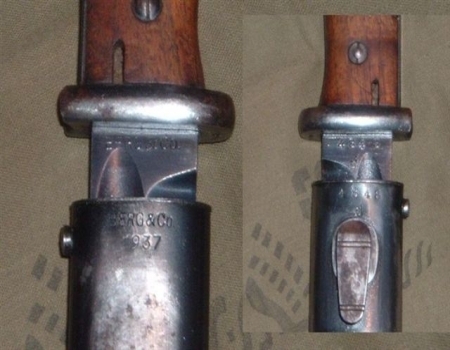 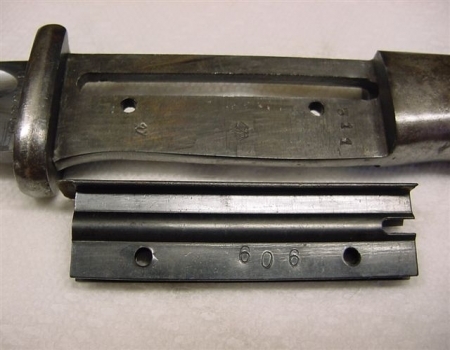 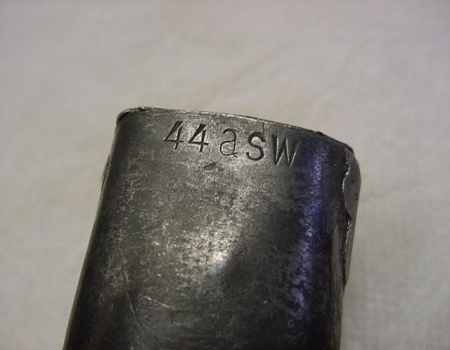 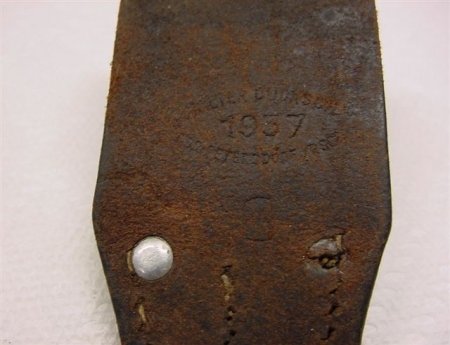 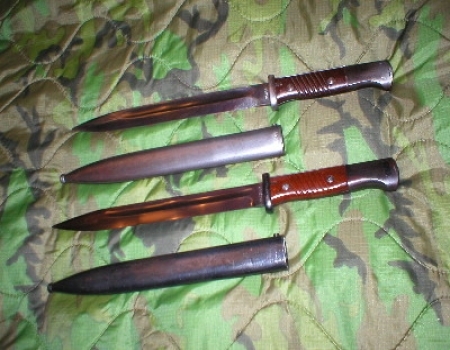 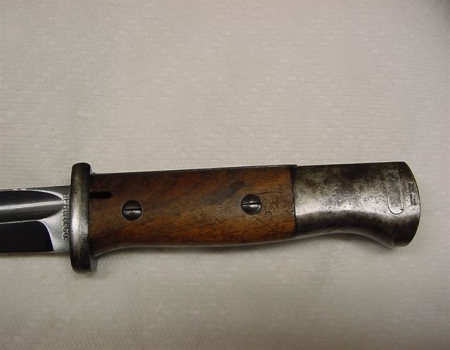 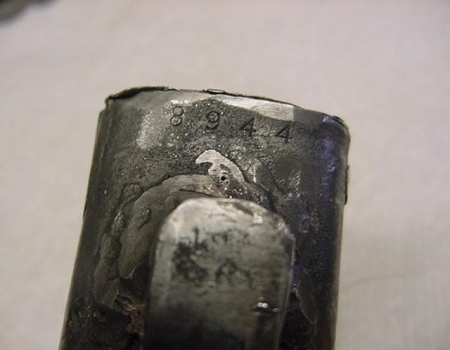 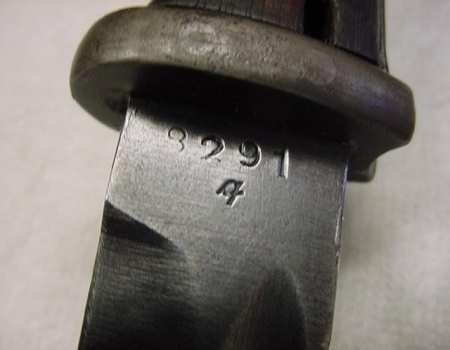 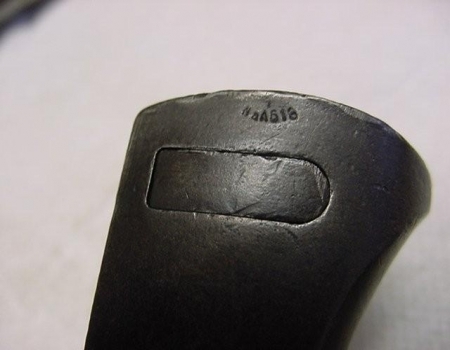 Notice the wood grips on this bayonet as compared to the Bakelite grips on the bayonets at the top of this page. 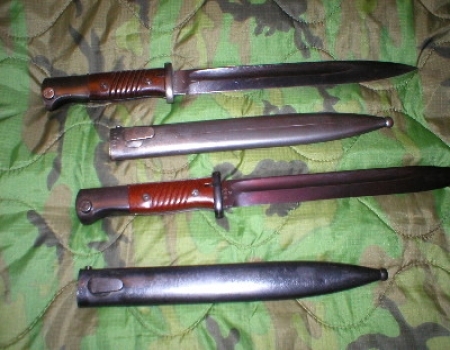 The small leather objects next to the bayonet in the photograph on the left is commonly referred to as a frog which is used to carry the bayonet and scabbard on a waist belt.